UPPCL Office Assistant Recruitment 2019: Uttar Pradesh Power Corporation Limited will soon announce the recruiting of the candidates in its department. The prestigious department of the State will soon release vacancies for the candidates who have completed minimum compulsory education. According to the UPPCL Office Assistant Recruitment 2019 Notification, there is a requirement of Office Assistant and the Stenographers. 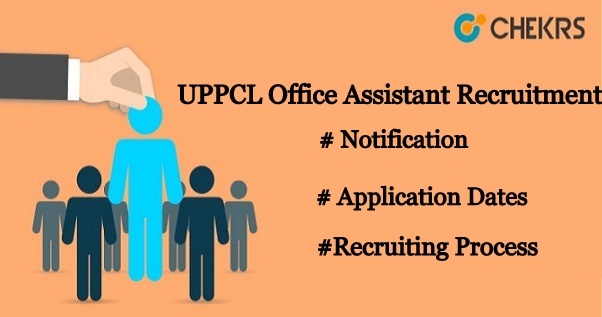 Latest Update: The UPPCL will soon release the Office Asst Recruitment 2019. Interested & Eligible candidates can check all the details from here. Candidates who are going to apply for the UPPCL Office Asst 2019 Application need to apply on or before the last date. Kindly refer to the required educational qualification, selection process and other essential details of the UPPCL Steno Recruitment 2019 Notification. The Uttar Pradesh Power Corporation Limited will soon release notification to recruit Office Assistant and Stenographer Grade-III vacant posts. (उत्तर प्रदेश कार्यालय सहायक/ आशुलिपिक भर्ती): From the revised notification of the UPPCL Steno Recruitment 2019, candidates in large number are given the opportunity to get Government Job. The candidates who possess an interest to get the job under the reputed institution will have to send their UPPCL Office Assistant Gr.-III Application Form with the help of the instructions provided by us. You can get the detailed notifications from the link given below. The applicants of the Office Assistant should have completed their graduation from a recognized institution. The minimum Hindi typing speed should be 30wpm. The Hindi writing skills for the shorthand of the stenographers should be 602wpm. The minimum age limit for candidates is 21 years and maximum 40 years. The candidates from the general category will have to pay Rs 1000/- as application fee. The SC/ST candidates will have to pay Rs 700/- as their application fee. The selected candidates for both the posts will be given a minimum pay scale of 5200-20200/- + 2600 Grade Pay. Go to the notices section by scrolling the page. Search and open the notification of Office Assistant & Stenographer available in the list. Click on the link of Apply Online. The application form will appear, enter the details with correct information. Submit the fee to avoid any inconvenience. The application has been submitted successfully. The candidates are informed that one and all will have to follow the selection process. The selection of all the applicants for both the vacancies will through the following process. The date for the tests will soon announce to all the candidates. Meanwhile, the dates are announced we advise all the candidates to study and prepare very well for the exam. You are advised to keep following jobs.chekrs.com to receive the latest notification of UPPCL Office Assistant Recruitment 2019. In the case of questions leave them in the comment box.